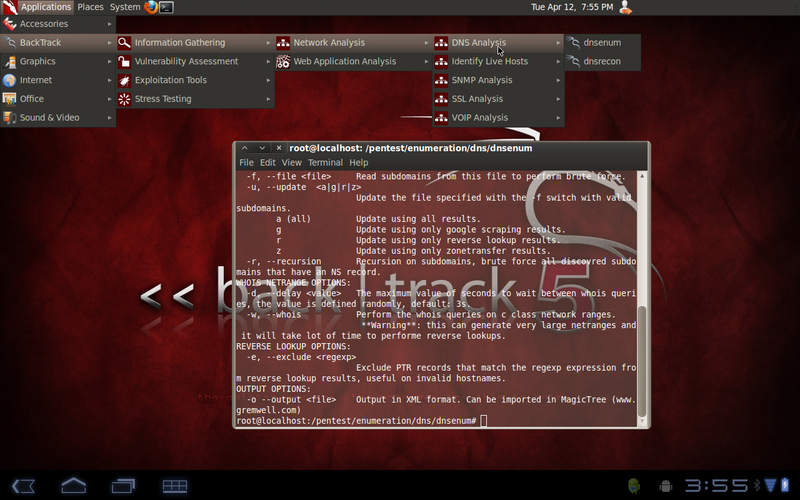 Pentesters rejoice, just one more week until Backtrack 5 will be released May 10th, 2011. "BackTrack 5 will be based on Ubuntu Lucid (10.04 LTS), and will (finally) support both 32 bit and 64 bit architectures. We will be officially supporting KDE 4, Gnome and Fluxbox while providing users streamlined ISO downloads of each Desktop Environment (DE). Tool integration from our repositories will be seamless with all our supported DE’s, including the specific DE menu structure." "Perhaps most importantly BackTrack 5 “revolution” will be our first release to include full source code in it’s repositories. This is a big thing for us, as it officially joins us to the open-source community and clears up any licensing issues which were present in BackTrack 4." The full source code will be included also with this release, which is something new. And it sounds like if they do not have an Android/ ARM hardware version of Backtrack 5 available on May 10th, it could be soon thereafter. Check out their blog post for more information and additional screenshots.